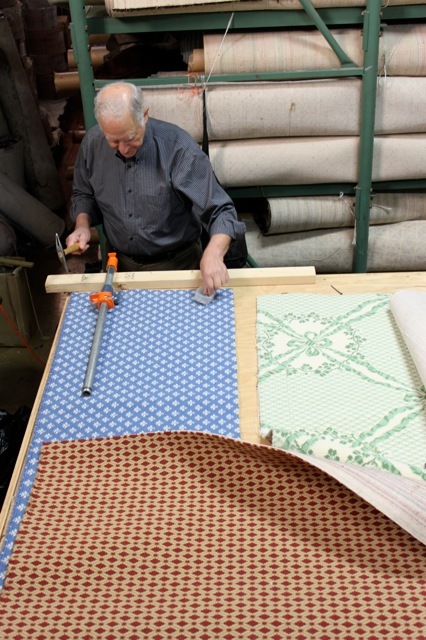 Phil Pearlman, a legend through the custom wilton industry, has trained generations of Langhorne artisans. Langhorne Carpets creates original custom designs for distinctive spaces in family homes and offices around the world. Our Jacquard Wilton looms enable us to weave a far-ranging variety of designs and constructions. Our heritage mill, staffed with world-class artisans and designers, gives us the agility to weave carpets for unique spaces—whether historic, modern, traditional (including family seals and crests) or artistic. We encourage our customers to bring us old photographs, fabric swatches, artwork—any media at all that would serve to inform us on the creation of the carpet of your dreams. Langhorne will work up a custom design to inform custom construction, and invites our customers to be part of the process from conception to shipping.